The program at question came into being as part of the New Deal and forces raisin farmers to hand over a portion of their crop to the Raisin Administrative Committee. The RAC then has discretion to sell or gift the raisins and any proceeds, minus administrative costs, are distributed back to the farmers. Predictably, the funds distributed back to the farmers are minimal and sometimes nonexistent. The government argued two points. First, they argued there is not a taking because it is a regulation that only kicks in if a raisin producer wants to enter their raisins into the “stream of commerce.” Under the government’s theory, the raisins are not taken from the farmers, they are voluntarily given up in exchange for access to market their raisins. The government argued that they “can attach reasonable conditions on entering a stream of commerce.” Second, they argue that there is no taking because the program is set up to benefit the farmers, not the government. Even if the argument that the program helps farmers carried legal weight, it is not true. In 2002-03 raisins farmers were forced to hand over 30% of their crop to the RAC. That year the market price per ton of raisins was $810. According to the USDA, if the program did not exist the market price would have been $747, or $63 less. Farmers may appreciate the higher market price for their raisins, but they received no proceeds back for the 30% of their crop that was taken by the RAC. In other words, to make up for their 30% reduction in produce, they would need to see a corresponding rise of 30% in the market price. But even according to the USDA’s own figures the raisin program increased the market price by less than 8%. Chief Justice Roberts and Justice Kagan showed concern over how far reaching their opinion may be, or how many other programs it would touch. While the government argued that 8 or 10 other crops have similar reserve programs, it could not point to a single instance where the program has been used in the past decade. Justice Kagan said that the program seemed like a “weird historical anomaly” and the record seems to support that. Chief Justice Roberts and Justices Sotomayor and Alito each showed concern that if the raisin program is not a taking, government authority could expand to other products as well. Justice Alito questioned why could the government not take a fifth of all cell phones created or a third of all cars manufactured. Chief Justice Roberts quipped that such a cell phone requirement could actually help manufacturers because it would broaden their market. Farmers do not need the government to help them market their goods. Since 2010 the RAC has not required raisin farmers to turn over a portion of their crop and we have not seen a destruction of the raisin market. Raisin Bran is still on stores’ shelves and trail mix is not devoid of raisins. More importantly, the Constitution specifically protects people from having their property taken without just compensation. This case should be fairly clear for the Court to rule on. 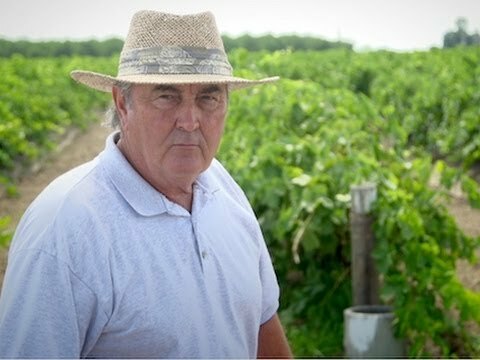 The Court should protect private property and rule that the government cannot take a portion of a raisin crop without also compensating the farmer for his loss. Hopefully the Court’s somewhat humorous discussion of the case shows that are leaning in this direction.